IBSA House is located on The Ridgeway, a road with some history. ‘Ridgeway’ was a term that originated in Anglo-Saxon times, to refer to ancient tracks that run along the high ridges of hills. They were unpaved, and relied on hard ground to provide a suitable surface for travelling on. In the 16th Century, The Ridgeway was a simple track that passed through Middlesex Forest. Over time, the forest was cleared to provide timber for building, and the area gave way to agricultural use. 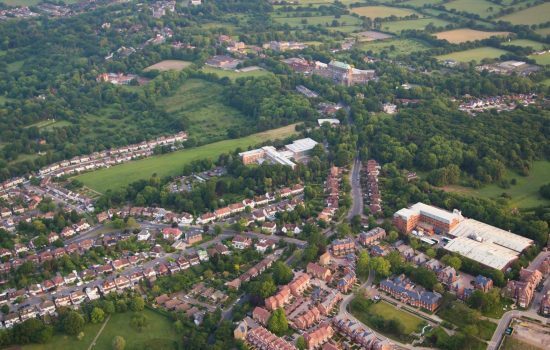 The close proximity of London and the excellent views from its elevated position gradually made Mill Hill and its environs popular as a country retreat. From the 17th century onwards, large houses and quaint cottages were constructed, many of which still remain. By 1868, a small group of five cottages had been built along The Ridgeway. These cottages fronted a backland field in agriculture, and were collectively known as Bittacy Cottages. The balance of frontage to The Ridgeway in this area remained as sparse woodland with agricultural land behind. This situation continued until the early 20th century. In 1909 Carl Zeiss constructed an Optical Factory for the purpose of making binoculars on agricultural land to the rear of Bittacy Cottages. This was at the same time that the Middlesex regiment established the Inglis Barracks to the south. Bittacy Cottages remained at that point, with access being gained from the south. Carl Zeiss had established a trading presence in London from the 1840’s but as a branch of its parent company in Germany. 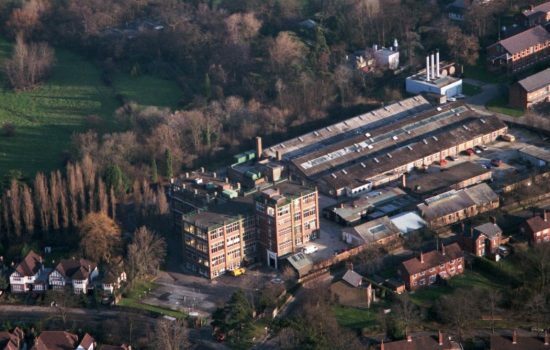 In November 1909 the company formalised its presence in Great Britain by the formation of a new company, Carl Zeiss (London) Ltd and shortly thereafter moved to newly constructed premises behind Bittacy Cottages on The Ridgeway. The factory was used primarily for the production of Binoculars. In June 1917 Ross Ltd, acquired the assets of Carl Zeiss ( London ) Ltd. As a result, they took over the former Zeiss offices in Great Castle Street, London W1 and also the optical factory in Mill Hill which it seems was extended in size at this time. The factory continued to make binoculars of the Zeiss pattern, though now marked with the Ross Ltd name. In the first picture (above), the UK Optical Works can be seen with the area in the foreground adjacent to The Ridgeway and the main entrance, being the former site of the five Bittacy Cottages. After a number of building extensions and changes of ownership, IBSA purchased the building from the UK Optical Company in November 1986. Construction of a new building on the site commenced shortly afterwards. During excavation of the foundations for the factory and carrying out remediation, much unsuitable material was removed and replaced with crushed concrete, enabling the formation of a basement area. 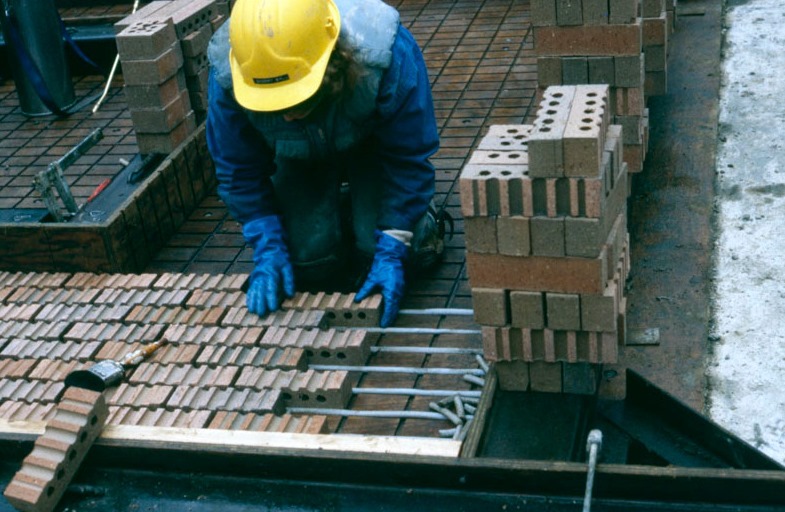 The factory and basement areas were constructed using the ‘tilt up’ method. 318 concrete panels were cast off the floor slab and tilted up into position using a 120 tonne crane. Likewise for the office blocks, a further 157 concrete panels were cast in the same way, this time with brick faces to the upper storeys. The building was completed and occupied in 1993, and has become part of the local streetscene. 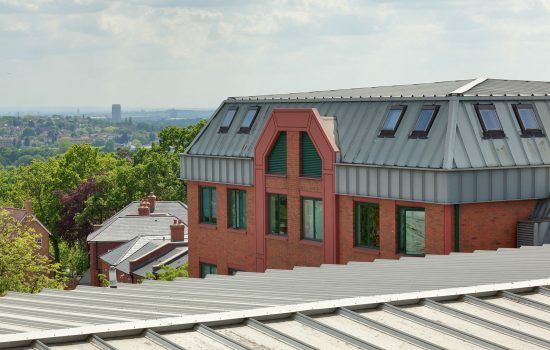 16 April 2014 (H/00807/14) – Extension of IBSA House comprising three storey extension to the north-west wing at first, second and roof level, and three-storey extension to the south wing at second, third and roof level, to create 3,233sqm of additional office floor space. Approved subject to conditions. 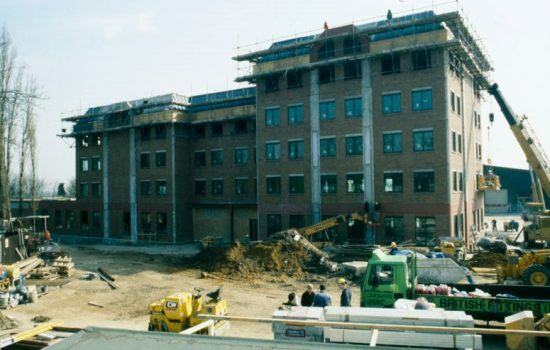 7 July 1989 (W02487U) – Erection of part four/part five storey building to provide business accommodation (Class B1) with ancillary office, storage facilities and associated parking. This application was refused but was granted on appeal on 6 July 1990. 22 April 1987 (W02487S) – For the erection of a two storey link building; single storey extension to Block B; new roofs to Block A & B & formation of new parking area. The application was approved subject to conditions. 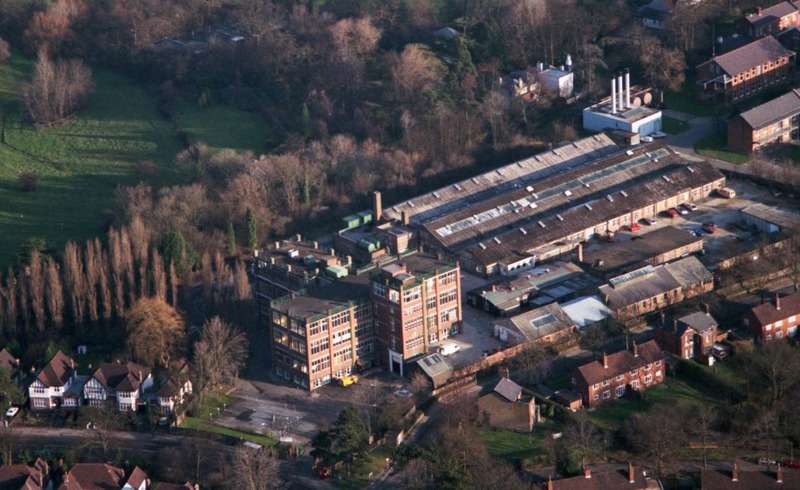 12 November 1986 – Former UK Optical works site, Bittacy Hill, NW7. 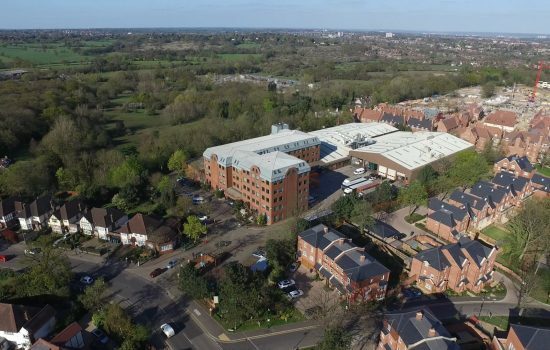 Planning Application (W02487R) for the use of the premises as printing and bookbinding works with ancillary office, storage and packaging facilities. The application was deemed to be Lawful / Permitted Development for which no planning application was required. 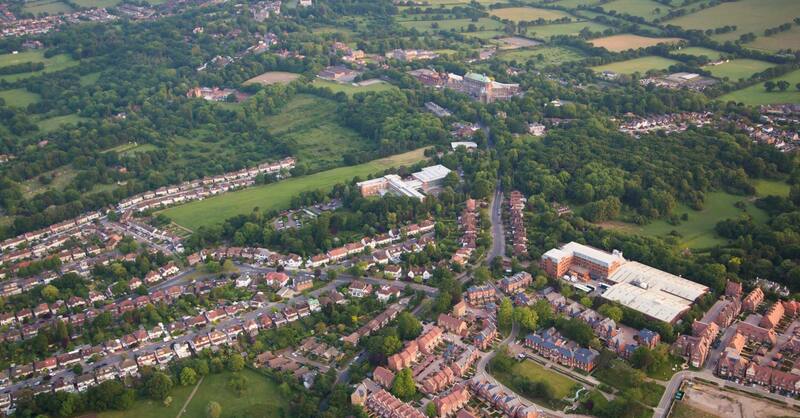 IBSA House is located half a mile from Mill Hill East underground station with a walking time of some 12 minutes. 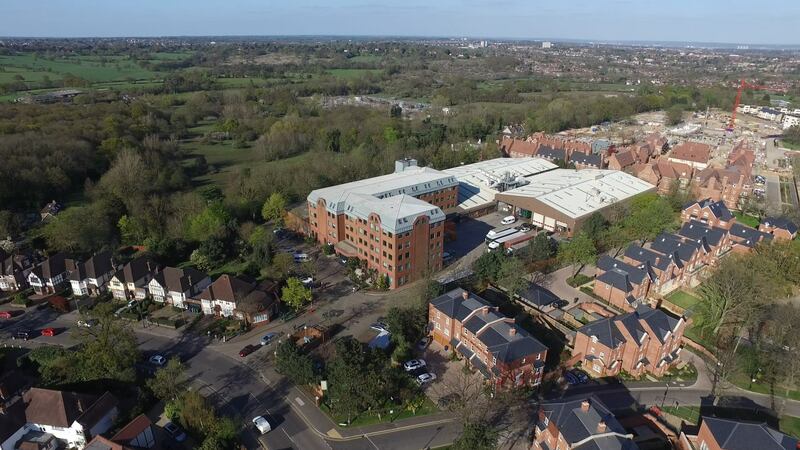 For rainy days, the number 240 bus passes outside the entrance to IBSA House and takes just two minutes to reach Mill Hill East station travelling south, with Mill Hill Broadway and a connection to Thameslink around 20 minutes away in a northerly direction. A selection of property data for IBSA House is available following registration.These include a planning statement, site plans, energy performance data, utilities data etc. IBSA House has a public reception facility. However, all viewings will be strictly by appointment with IBSA and will be accompanied.